The Injury Minimisation Programme for Schools visited Year 6 this week! They taught us all about how to stay safe and avoid danger. We were shown life saving skills and how to react in a crisis. It was a thoroughly enjoyable and informative experience for both classes. 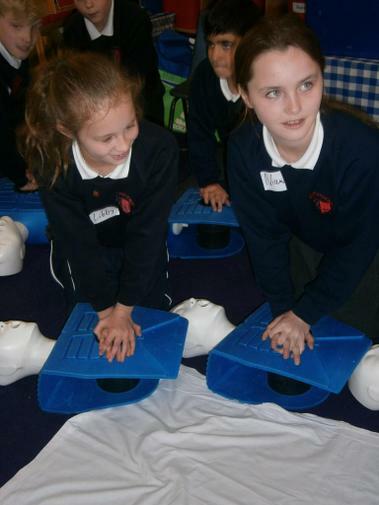 We've all been practising our CPR and we're ready to save some lives! View our online gallery for more photos.